(JillStanek.com) Planned Parenthood has submitted a letter to the House Energy and Commerce Committee refusing to produce its scandalized Chief Medical Director, Deborah Nucatola, at a briefing to answer questions regarding potential illegalities she admitted to in a conversation caught on video by The Center for Medical Progress during an undercover investigation. Biomax set up exhibits at our National Medical Conference and our National Conference over the last couple of years. We believe that on at least one occasion a representative from Biomax was shown a highly sensitive area in a clinic where tissue is processed after abortion procedures. While this work is standard and essential during any abortion procedure, any filming in such an area would be an extremely serious invasion of our patients’ privacy and dignity. We also believe that in at least one interaction at a Planned Parenthood facility, the Biomax representative asked questions about the racial characteristics of tissue donated to researchers studying sickle cell anemia, apparently seeking to create a misleading impression. We believe a focal point of Biomax’s efforts was to induce our affiliates to enter into sham procurement contracts. In one instance, the amounts offered by Biomax were $100 per specimen. In another instance, Biomax offered to pay much more, sending the affiliate a “procurement agreement” that offered a payment of $1,600 for a liver and thymus – an astronomical amount compared to the minimal cost-recovery fees that affiliates with tissue donation programs currently recoup. These efforts most often targeted Planned Parenthood affiliates not currently engaged in tissue donation. All of these efforts were rebuffed. We suspect, however, that this will not deter the extremists behind this campaign from editing and distorting their surreptitious videos. We also believe there are multiple taped interactions initiated by Biomax discussing whether and how a physician could adjust an abortion if the patient has requested to donate tissue for medical research, and we believe that these extremists will manipulate those videos to make more false claims. In fact, given the scope and length of the deceptive practices perpetrated by Mr. Daleiden, and the lengths he apparently went to in order to advance his political agenda, there may well be thousands of hours of videotape that he will deceptively edit into short video clips to release for many months. 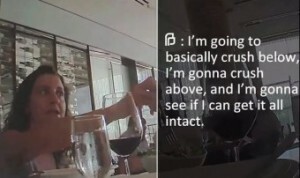 So, Planned Parenthood thinks CMP has video of at least two of its conferences as well as PP staff dissecting babies for organs, expressing a preference for black babies, sniffing – if not taking – the bait on large kickbacks for baby parts, admitting (which has already happened twice) to illegally manipulating abortions to retrieve intact organs and body parts, and much, much, much more about which it has no idea. Two such conferences were held by the National Abortion Federation, the national association for abortion providers in America…. Biomax was a sponsor of both the 2014 NAF conference held in San Francisco and this year’s conference in Baltimore, according to attendees…. “Biomax had a booth that was right across from me,” recalls Heather Ault, a pro-choice artist and activist, describing the exhibition hall at the 2014 conference…. Ault is one of five attendees who have told RH Reality Check of their discomfort at learning that Daleiden and his groups infiltrated what had until now been seen as a secure space. Security is a high priority for abortion providers and pro-choice advocates, who are subject to constant threats and harassment, and whose safety – and often lives – are at risk at the hands of anti-choice terrorists…. It wasn’t just NAF conferences that Biomax attended. Planned Parenthood Federation of American [sic] today confirmed that Biomax had set up sham exhibition booths at two Planned Parenthood conferences as well…. 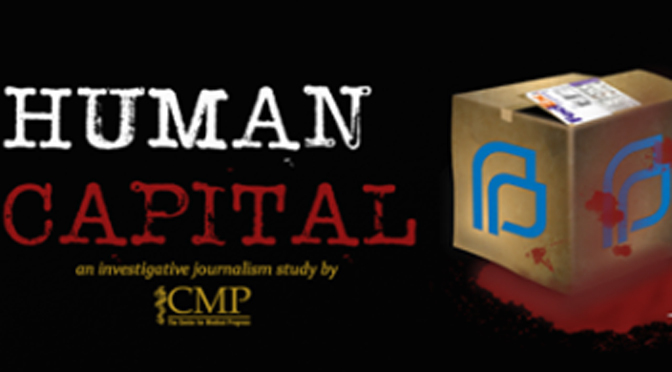 As I said, I can scarcely imagine what CMP has – video of speakers, workshops, and conversations at at least four abortion conferences.